OneDrive is a product of Microsoft which provides cloud storage up to certain GB’s to every Microsoft account holder for free. You can store any type of data on OneDrive including images, text files, excel sheets, videos etc. 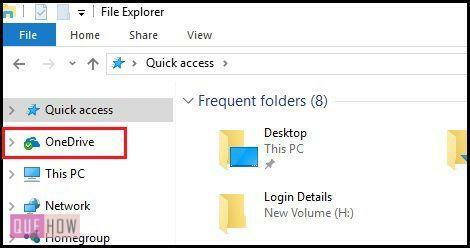 In Windows 10, OneDrive is the default option to save your data whose folder appears in the File Explorer. The files saved on OneDrive can also be accessed by the user with any device by logging into the Microsoft account. In addition, it saves a lot of space on the physical storage and keeps your data safe. The files which are stored in OneDrive are never lost. In case you do not want to use OneDrive and want to get rid of those unwanted pop-ups asking you to sign in to OneDrive, then you have a choice to remove it from your device. 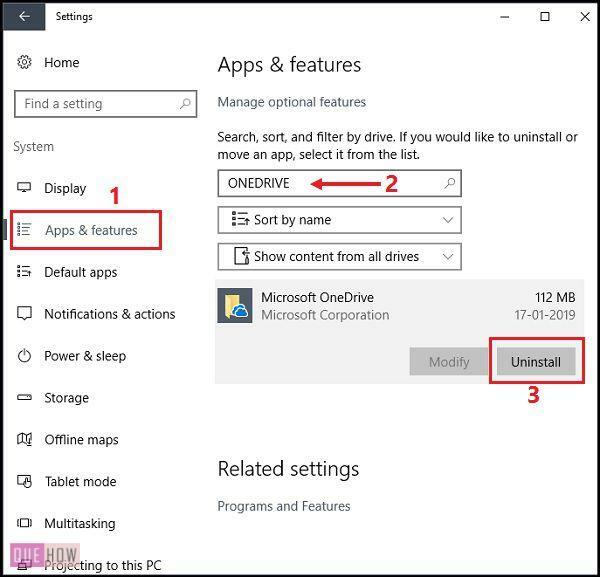 Windows 10 may allow you to disable OneDrive in your system and make it invisible but it doesn’t remove it permanently. You will be able to revive OneDrive in future if you need it again. 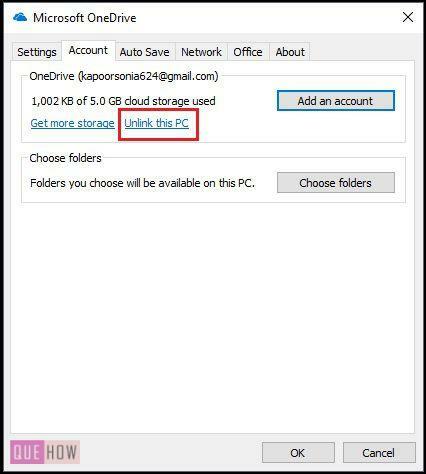 Reading this article, you will learn how to remove Onedrive and its folder as well from your Windows 10. 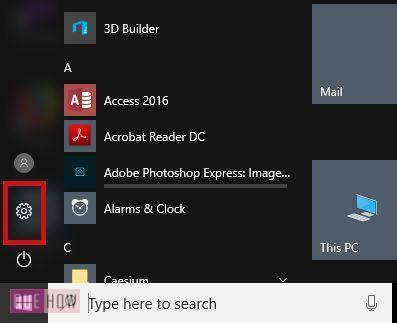 Step 1: Go to the Settings by clicking on the settings icon present in the Start menu. 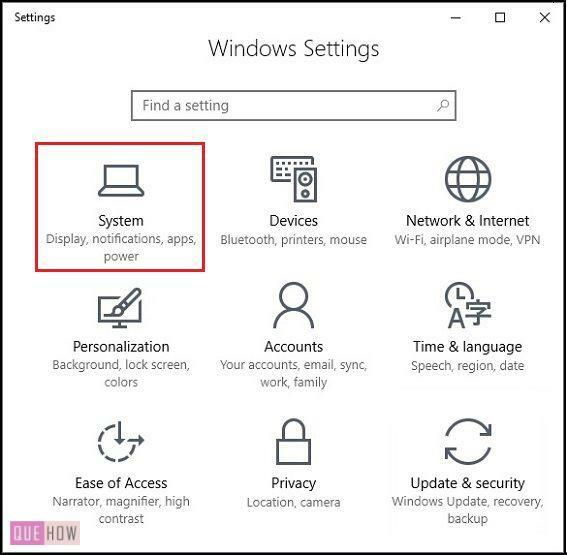 You will be taken to the Settings window containing multiple setting options including System, Devices, Networks & Security etc. Step 2: Select System settings. This will open the System settings under which you will find different options on the left side with Display settings opened by default. Step 3: Click on Apps & Features. 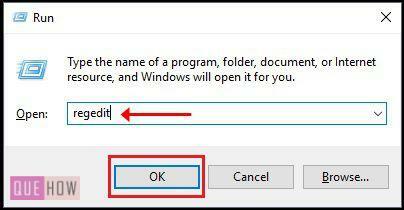 This option is dedicated to uninstall an application from the system. Step 4: Enter OneDrive in the search box to find it from the list of apps. Now click on it. Step 5: Click on Uninstall. You will be given a warning, saying all the information and the app will be removed. Click on Uninstall, again. This will make your computer free from OneDrive. 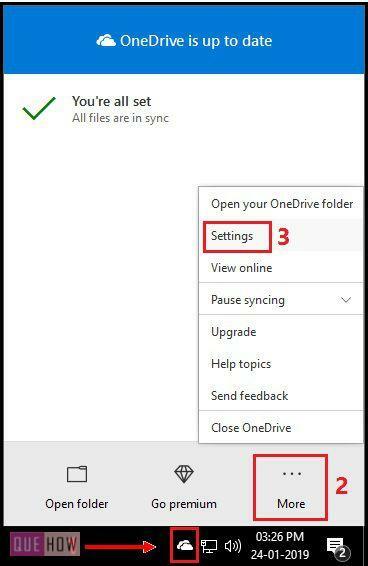 By unlinking your OneDrive account from the system, you can stop the syncing of your files to OneDrive. Step 1: Click on the OneDrive Icon present in the notification tray on the rightmost area of the taskbar. Here you will find three options, open folder to access the OneDrive folder present in the file explorer; go premium to upgrade your account and lastly more to open some more options. Step 2: Select more > Settings. This opens the Microsoft Onedrive Settings where Account tab must be already opened. Under this tab, you will find some options like add an account or choose folders etc. It also displays the amount of storage used on the OneDrive cloud. Step 2: Click on Unlink this PC. By clicking on this option, the account will be unlinked from the computer and the data will not sync to the cloud anymore. Step 3: Select Unlink account to confirm. You’re done! You’ll see the OneDrive icon on the taskbar turns grey from white. If you click on it, you will be asked to sign in again to link your PC to OneDrive. You may see the empty OneDrive folder left behind even after removing OneDrive from the System. Let us remove it as well. In this method, you need to access the folders that are not so commonly used, so you may proceed with care. 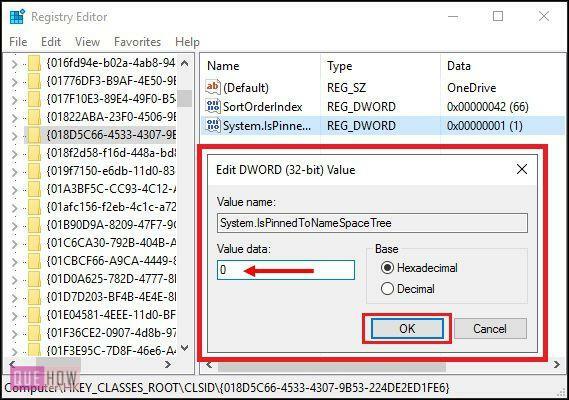 Step 1: Type regedit in the Windows run tool and click OK. You can open Windows Run by pressing ‘Windows + R‘ key. 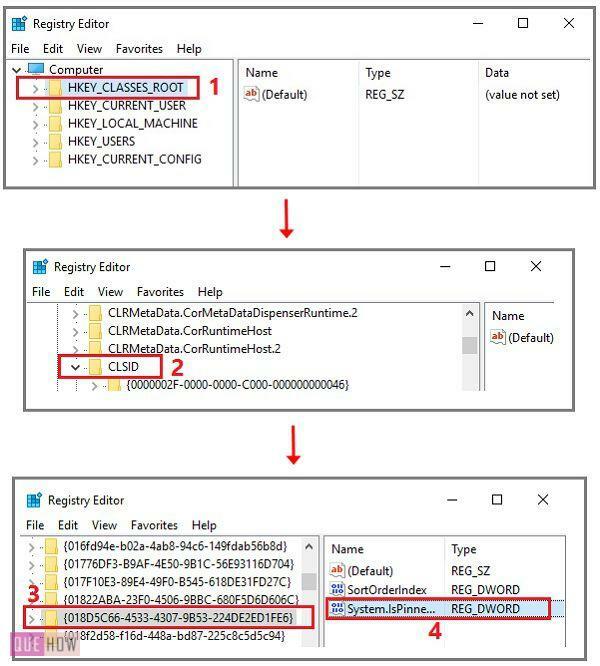 This opens the Registry Editor. Usually, it is accessed by advanced users. Step 2: Now follow the given navigation. Click on this key as you find it in the list present on the left pane. Now look at the right section of the editor, three files will appear. Step 3: Double click on the third file named System.IsPinnedToNameSpaceTree. Step 4: Change the value data from 1 to 0 (as shown in the image below) and click OK. If you are a 32-bit user, the above process will remove the OneDrive folder from the file explorer. But you will need to complete one more step if you have a 64-bit version of Windows 10. Step 5: Now navigate to another key and repeat step 3 and 4. That’s it! That vacant OneDrive folder won’t be appearing now. You may restart the system once if the folder doesn’t vanish even after finishing the above process. 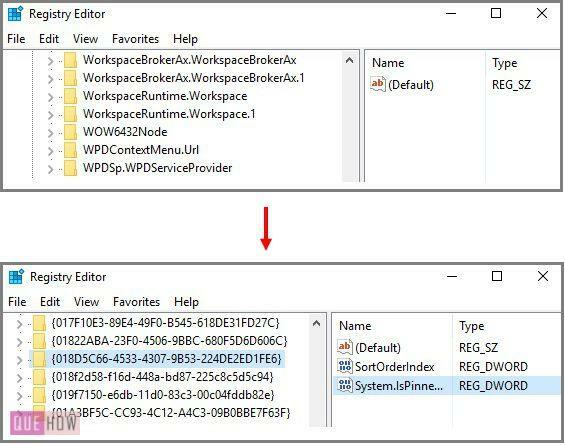 How to Uninstall Apps in Windows 10?